Subsidence is caused by the undermining of the foundations of a property (usually as a result of escape of water from underground pipes). 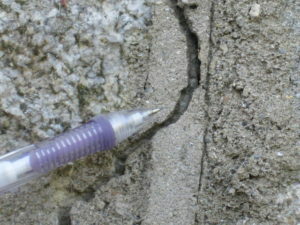 This causes downward or rotational movement in the walls resulting in cracking in the structural walls of a building. Managing a successful subsidence claim is essential in restoring your property to a structurally sound state. However, subsidence claims can be very difficult to negotiate and require dedicated and professional representation to succeed. In order to establish if you have an admissible subsidence claim it is necessary to prove the cause and source of any cracks. This requires specialist investigation and engineering report to prove if a case exists. We have been dealing with subsidence claims in Ireland for over 40 years. We have a panel of expert engineers and specialist contractors who can investgate on your behalf. Usually a drains survey and a water mains test will establish if there are leaking pipes that could have caused the cracks to appear. Trial holes and soil probes can establish the ground conditions and the bearing capacity of the subsoil. This can establish if the foundations of your property have been undermined. Dynamic probes will test the distance underground to firm bearing ground to establish the under-pinning piling requirements. We recommend experienced specialists to assist in the process and have established relationships with the right esxperts to produce the necessary reports and paperwork to support your case. The the appropriate remedial works will need to be specifed and supervised by a structural engineer. Repairs usually involve under-pinning the foundations, and undertaking crack repairs, or re-building affected walls and all associated works. Your policy covers the cost of Engineers fees once policy liability has been accepted. 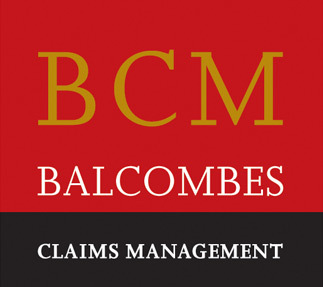 Balcombes Claims Management recommend specialists who will work to establish the cause and the solution. Subsidence claims can be slow to resolve. Your insurer will usually appoint their own loss adjuster and engineer to examine and challenge the evidence, before they will admit policy liability. This step is necessary before they will enter into any meaningful negotiations. Our role ensures that you will receive the maximum amount from your subsidence claim, and that your subsidence damage will be dealt with by the best subsidence repair experts. We can compile the full statement of claim and recommend the right people to produce the necessary reports and paperwork. If there is disruption to your property we can include for alternative accommodation costs if you have to vacate the premises to facilitate the repairs. We offer professional advice to you and there is no obligation following a free initial consultation. ‘Contact us’ and one of our experienced Property Loss Assessors will discuss the issues with you to see how we can help you with your claim.